Cancer Jun 21st – Jul 22nd Hello Cancer! The Divine would like you to approach all areas of your life with a little more love and compassion this week particularly for yourself. No matter who you are or where you are in your life, know that you are worthy of love and respect. This is a great time to take a good look around and see that situations and environments are probably better than you are realizing, particularly at work. Your week will bring support and advice from the female energies in your family and circle of colleagues and friends. If you are single, now is the time to mingle. Do away with any shyness and get out and mingle as a new, and a very positive romance may be in your future. Be careful to keep perspective and balance and not get carried away with the excitement of new love. In general, the Divine is asking you to trust in the Universe’s healing energy and the feminine energy surrounding, and you could see positive movement in the area of finances, health, and work. Leo Jul 23rd – Aug 22nd Hello Leo! This week there is likely to be new growth and progress in your life goals. Expect to experience your ideas and outlook expanding almost to the point where creativity seems endless. Spirit is guiding you to enjoy this positive energy toward growth and progress, but to also exercise good judgment as you embark on this new journey. Don’t turn a blind eye to details that need tending to and don’t rush into anything without doing your do diligence in checking facts. The Divine is indicating that this could be a great time for you to start new or restart a health regime, but cautions to start where you are and don’t over reach in order to experience the best results. Remember that your mind, body, and soul are closely linked. So keep your mind positive to affect positive results in your body. Virgo Aug 23rd- Sep 22nd Hello Virgo! Of utmost importance for you this week is a positive attitude and mindset. Do your best to keep your mind focused on your goals and what is for your highest good. You may be tempted to indulge in past behaviors that no longer serve you but you find hard to resist at this time. The Divine is guiding you to remember that when you are feeling restrained or tempted by that which no longer serves your highest good, that you always hold the keys to your own freedom from such restraints or old patterns. You may feel that you have no control over your journey in life right now, but you always have options to choose from no matter what your situation. Take whatever steps you can to give yourself the feeling of being even just slightly in control. Remember small steps are important and can move you forward as well. Be on guard not to get overtired, overworked or overstressed at this time. Movement or exercise will help with this. So when feeling restrained, restricted, or possibly trapped with any area of your life right now, remember you have the power to break free and move toward your goals. Surround yourself with upbeat positive people who are not overly critical. Keep focused, positive and don't give up hope! Libra Sep 23rd – Oct 22nd Hello Libra! This week the Divine is telling you that it is time to step back and enjoy what your hard work has created. You have worked hard, so now treat yourself to a little bit of indulgence. After a bit of enjoyment, turn your focus on establishing more security for yourself and your family by putting some money away for the future. Spirit is telling you that this is a time to be grateful for all your blessings and to know that you have all that you need to live your life on your terms. Do not settle for anything less. Scorpio Oct 23rd – Nov 21st Hello Scorpio! The Divine wants you to know that all your hard work is close to completion. Don’t give up now when you are so close! Feel free to toot your own horn so to speak, particularly in the workplace so that your positive accomplishments don’t get overlooked. You have worked hard and deserve the recognition. If your finances have been idle for a while, the obstacles will most likely clear soon in your favor. Spirit is cautioning you to save and refrain from spending so that you are better prepared should hard times come again. This may be the time to look towards a healer that deals with holistic medicine to add to, or complement, your traditional Western medical therapies. Don’t ignore medical advice, but be sure to listen to your own gut instincts about what is best for you. Educate yourself as much as possible so that you can be your own best advocate. Don’t be afraid to take some time for some well-deserved rest and relaxation in which you are almost definitely in need. The Divine wants you to know that you are close to discovering who you are at the most deepest levels. You could start to experience some clear flashes of important spiritual insight. This would be a great time to keep a journal of your thoughts as well as dreams. Sagittarius Nov 22nd – Dec 21st Hello Sagittarius! This week you are likely to feel charged up and ready for action. Projects at work are likely to progress in a positive way, sooner than you’re expecting. Feel proud of your contributions and accomplishments. Good news is headed your way, particularly with regards to the matters of the heart. You can likely expect some uplifting news in the area of your finances as well. Also, if you are waiting to hear news about a health related matter, try not to worry, the news is likely to be better than expected. Enjoy a good energy flow this week! Capricorn Dec. 22nd - Jan 19th Hello Capricorn! This week you may find yourself quick to form judgments and make decisions. The Divine would like you to slow down and give things more thought and people more chances. Be careful not to leap to any conclusions about a person or their intentions, particularly in your love relationships. This is an important time to let go of the past and any wrongs that you perceive were done to you, particularly if you are dealing with chronic medical issues. Letting go of your need to be right will go a long way toward helping you to feel better. At work you may be carefully being watched, so take the time to put some extra effort into your work paying close attention to detail. Aquarius Jan 20th – Feb 18th Hello Aquarius! This week take a look at the situations, projects, and people with which you are involved. What is your approach to helping or solving issues? Spirit is guiding you to take a nurturing approach. Whether you are being called to tend to a person, a project, or even yourself, this is the time for a little tender loving care. Basically assume the role of caretaker and be gentle and loving. Focus on building security for all those involved. This motherly energy is what is needed and will be the most beneficial to all, even you. Pisces Feb 19th – Mar 20th Hello Pisces! This week should be a pretty good week for you. You may finally be experiencing some success after coming through some difficulty. Your finances are likely to be taking a turn for a the better. With regards to work performance, you have a lot to be proud of even if you haven’t seen the rewards quite yet. Even if you don’t work outside the home, know that your efforts are seen, appreciated, and are respected. If you are looking to change your position or a new job, signs point to finding one. Make sure to hold your head up high, as you have a lot that you bring to the table. Spirit is guiding you to check your work life balance. Perhaps you are spending too much time on your career neglecting those close to you. Allow more time for your personal life. Aries Mar 21st – Apr 19th Hello Aries! The energy flowing around and within you is moving well and freely. This week things should be going well, projects should be progressing right on track, and in general you should be feeling pretty good. The Divine asks you to take any moments of self-doubt or possible fear and dispel them, as that will disrupt this positive energy flow. Be confident to speak your truth and let people know where you stand on issues and situations. Trust that your mind has clarity and your thinking is clear, which could help others by showing them how things truly are. Be careful to employ tact, however. This energy flow you are in right now could set things in motion for a positive change to occur either in your personal or work life. Keep thinking for yourself remaining independent of other’s influences. Put energy into your future, making decisions that are well thought out and based in research. Turn your worry and fears to your advantage in order to grow stronger to face what is ahead. Enjoy the positive energy flow this week. Taurus Apr 20th – May 20th Hello Taurus! The Divine wants you to know that you are on the right track! Keep doing what you are doing, no need to start something over or scrap a project. The people around you are noticing your efforts and the quality of what you do and they certainly appreciate it. This message is for your personal life as well as in the work place. Keep plugging along and doing your part, and the rewards will come. In other words, things are looking up! If you are looking for work, Spirit is guiding you to stay encouraged as things may start to move very quickly towards success in that endeavor. Have patience with the one you have got a romantic eye for, as that person does see you in a positive light. Allow them the time to develop more fully their emotions for you. In general, this is a week to know that your efforts in all areas of your life, personal relationships, work, health, and spirituality are on the right track. Keep doing what you are doing and reap the rewards! Gemini May 21st – Jun 20th Hello Gemini! This week you may be torn between what your heart is telling you and what your head is telling you. The Divine asks you to follow your heart with decisions this week. Do your best not to operate out of fear, instead choose to operate out of love. 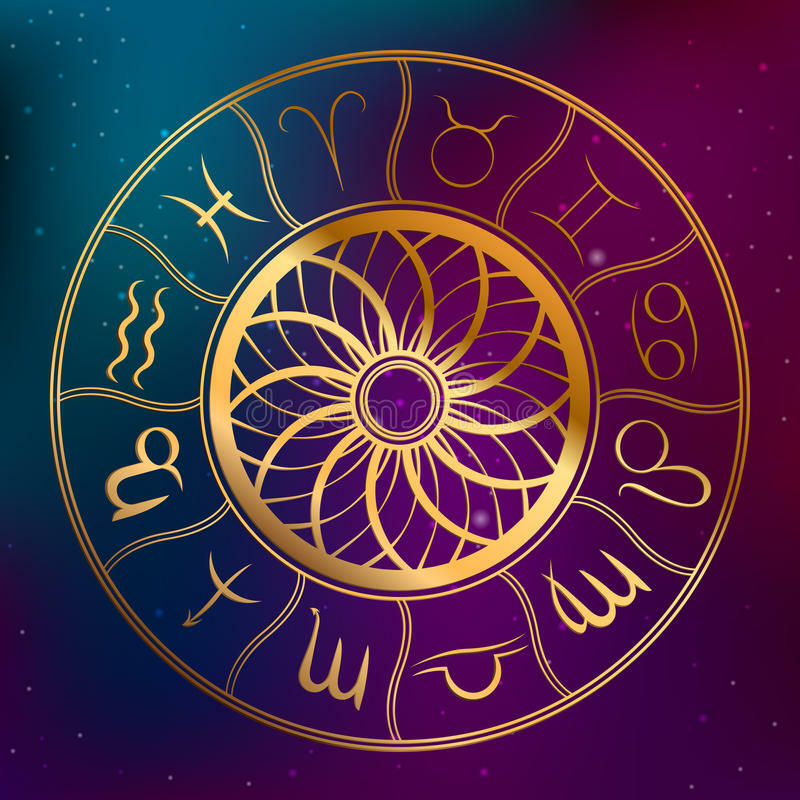 In fact, this is a time to bring LOVE into the center stage of your life either with a new relationship or the reconnection or re-bonding of an old one. Life will feel wonderful so be careful not to lose sight of other details both personally and financially. Make sure to take care of those things that need attention this week. The Divine cautions you not to mix business with romance. You will possibly be facing a decision or choice in the work place, and Spirit is telling you to analyze all information before making a choice so that it will be your best choice. A new energy may enter into your life, perhaps as a form of a doctor, healer, or spiritual mentor. Be sure to not blindly follow, instead question everything. Listen to what your heart and gut are telling you to take from this new energy, and disregard the rest. The Divine asks you to focus on healing affirmations and forgiveness work in order to help you through any challenges you may be facing. The right partner, healer, or mentor is on its way to you, but you must be open, willing, and ready.